X The seller hollywell offers you 10.0% on each sale! X The seller breeze offers you 10.0% on each sale! X The seller smilebook offers you 10.0% on each sale! *new! * Exit Grabber - Popup Software - Grab Your Visitors Back Right Before They Leave Your Site , Boosting Sales By 327! 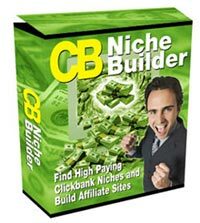 Cb Niche Builder - Instantly Build High Profit Clickbank Affiliate Niche Sites With Resell Rights! *new! * Pr Ninja - Raise Your Search Engine Ranking ! X The seller imtiaz offers you 10.0% on each sale! X The seller kaipo21 offers you 10.0% on each sale! X The seller bearand offers you 10.0% on each sale!